Location, location, location! 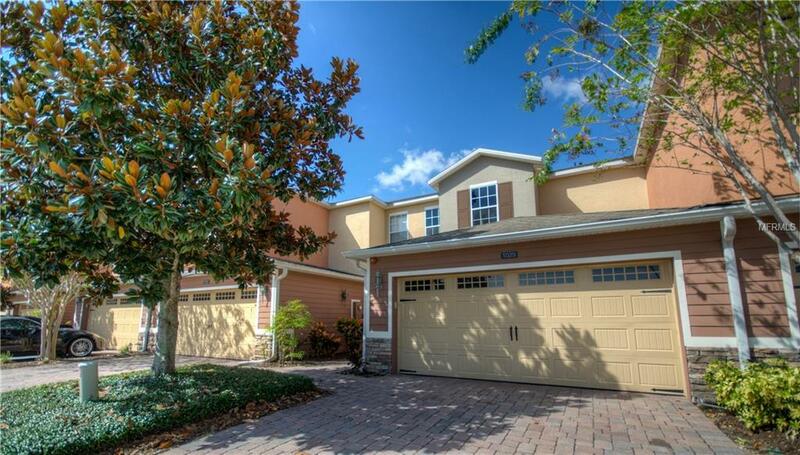 Do not miss out on this turn-key Townhouse! This home features a large 3/2, two story floor plan. Beautiful laminate flooring throughout. New interior paint. New dishwasher and washer/dryer. Newly resurfaced and painted patio and garage floors. The kitchen features stone back splash, tile floors, upgraded counters, matching appliances and tons of cabinet space. Ceiling fans can be found in all of the rooms. Upstairs you'll find the bedrooms. The master bedroom features "his & her" custom closets and large master bathroom. The other 2 bedrooms are located just down the hall and also feature laminate flooring and energy efficient windows. Located minutes from everything Central Florida has to offer. This townhouse located in WestBrook is just across the street from the community pool. The premium lot has no neighbors to the front, or rear. Schedule your showing soon! Listing provided courtesy of Southern Heritage Realty, Inc.